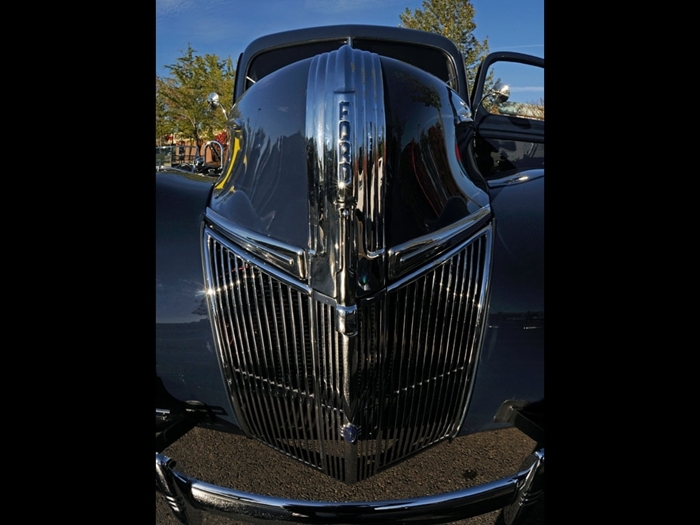 Garth Bonney can give you lots of reasons he has a thing for 1940 Fords. It was the first car he ever owned. But Bonney says he wasn’t really looking for another project when he spotted the old pickup at a swap meet around 2005. But as soon as he saw the truck, he knew it would end up being his. The truck had spent its life on a farm in the high desert of Eastern Oregon. “There were plenty of dents, but no rust,” he says. And there was plenty of potential. That means an engine “with lots of chrome” and a stock looking body and big, fat whitewall tires. 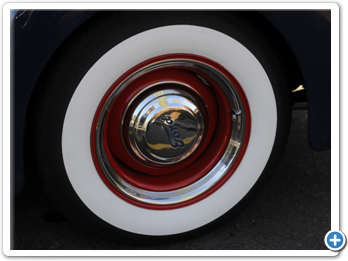 “I really like whitewalls,” he says. 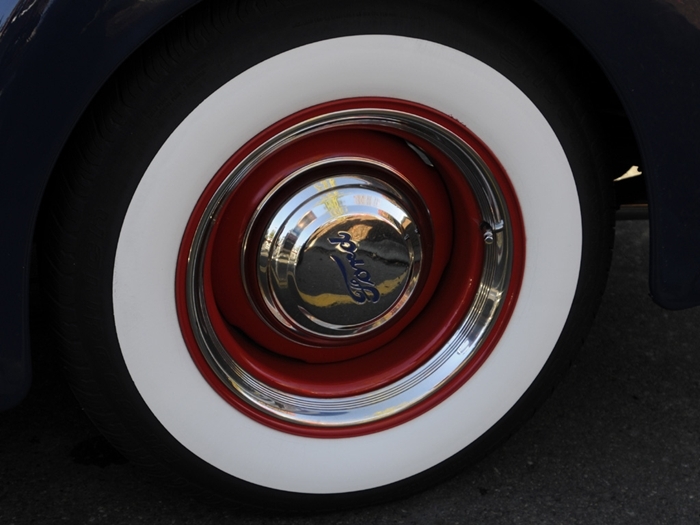 From the outside, it would be easy to mistake the Ford for a nearly period-correct restoration. The body rides on a TCI chassis from Ontario, Ca. 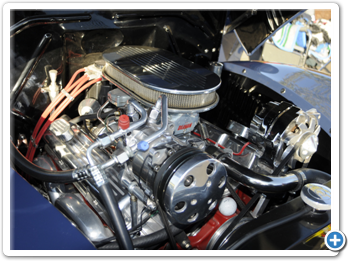 The engine is the ubiquitous Chevrolet 350 mated to a 350 turbo hydra-matic and power goes to the rear wheels via a Ford 9-inch rear end. “A couple of my friends chew on me for not keeping a Ford engine in it,” he says. “I suppose I could have, but it was an 85-horsepower Flat head, and there is just so much more available for the Chevrolet. And the throaty exhaust is the first key that the truck isn’t exactly what it looks to be. Bonney says he’s been tinkering with cars for years. Still, it took him about six years to convert the truck, working a bit at a time. He did just about everything, including filling the dents and getting all the body pieces to fit right, spraying the 1940s “Washington Blue” paint and doing all the upholstery. “The body was in such good shape that I really didn’t have to do any heroics,” he says. 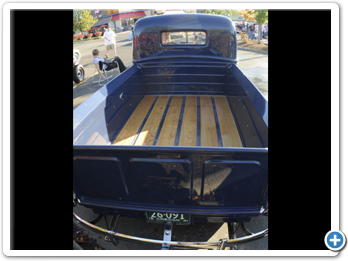 He also worked as a furniture maker, which was a handy skill set to have when it came to building the truck bed’s wood floor. 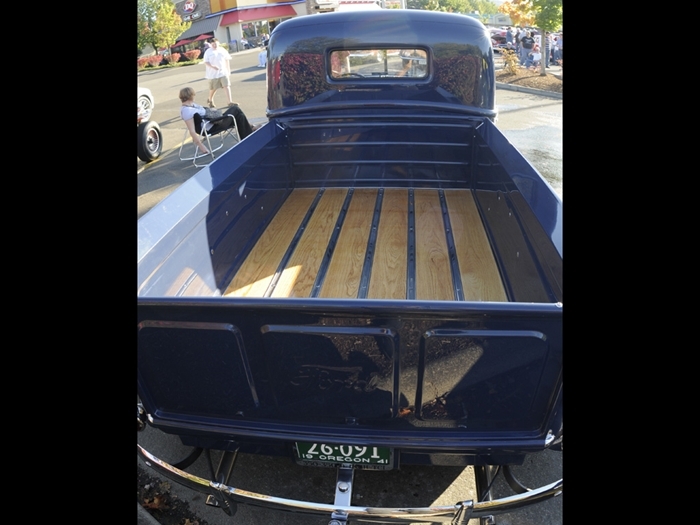 Unlike many restorers of trucks of that vintage, Bonney stopped the sanding and spraying with six layers. “It is important that the floor still looks like wood,” he says. “On this one you can still see the grain. Is there anything he’d do different if he was starting all over again? “Nothing that I can think of,” he responds. “It’s a beautiful body style. 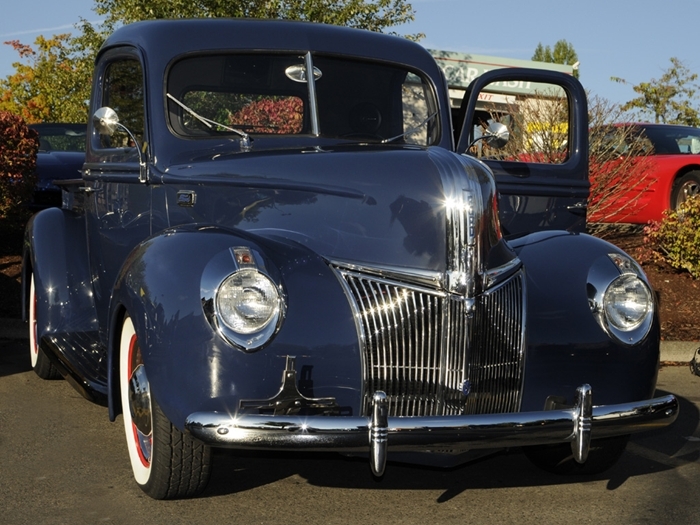 It was offered in the 1939 and ’40 cars and the 1940 and ’41 trucks. “The nice thing about a project like this is there are so many knowledgeable people out there who will answer questions and offer advice, that there really were not any major problems. “And remember, that everything under the body is brand new. You can buy parts for the drive train and chassis anywhere. This book covers all trucks, buses and panel van trucks from 1905 to 1978. It is illustrated with many black and white photos. Recommended for any Ford enthusiast library. This is a high-quality reprint of the manual that Ford mechanics used for the basics in servicing vehicles. 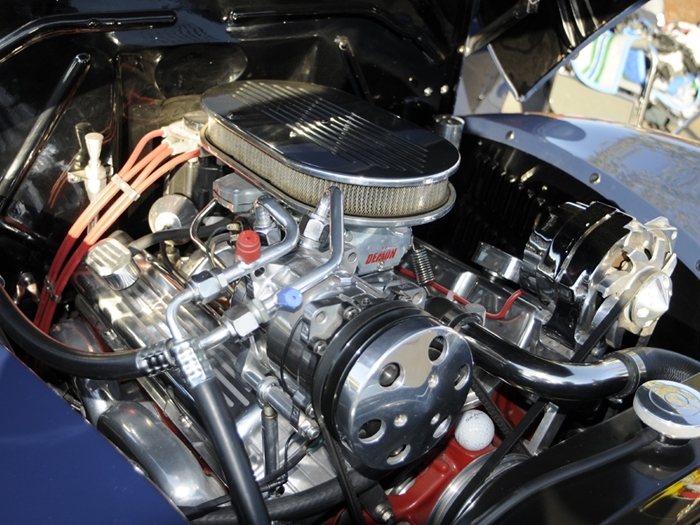 It includes service procedures for ignition, carburetor adjustments & specifications, fuel pump, clutch adjustment & removal, transmission, axles, brake adjustment, and universal joint removal & disassembly. 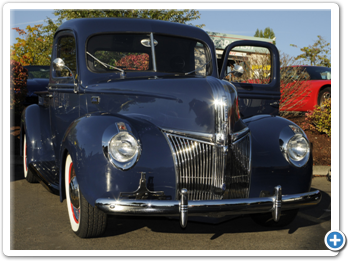 You can use the information in this manual to restore all 1939 and 1940 Ford V8 models. 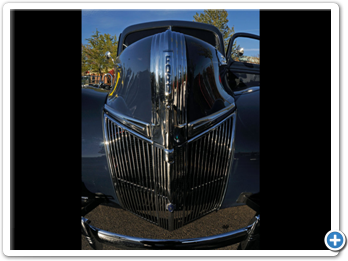 A step-by-step guide to building Ford street rods from 1935-1940 although much of the material can be applied to any street rod project. Chapters include chassis, drivetrain, electrical, body, interior, and painting. The evolution of Ford automobiles and trucks is depicted through hundreds of black and white photographs and drawings, with captions.